We would like to congratulate our Varsity Girls on numerous Region/Division Championships and impressive wins of the 2011, 2006, and 2003 5A-1 State Championships. At the moment we are hard at work preparing for another season filled with high expectations. As part of our preparation to compete for the title, we will again host our annual “Tiger Volleyball Camp” this summer. We hope to help individuals continue in their progress towards the winning tradition. Our camp offers highly qualified instruction for each of our age levels. NO REFUNDS will be granted once camp begins. Limit (1) camp give-a-way per summer. LEVEL A - We are excited to continue our “Little Tigers” Level “A” camp (10 and under). This camp is fun for kids and introduces and reviews basic individual volleyball skills. We hope this will help the youngest of players develop a love for the game and provide them with some very basic fundamentals in both volleyball and teamwork. LEVEL B - The Level “B” camps are for ages 11 yrs - 17 yrs and is intended for both boys and girls who are looking to improve their volleyball abilities for the next level. There are 4 different weeks of camps, making it possible for more athletes to attend. Each day will be broken up into different sessions for drills and skill instruction. Sessions will include: skills taught for passing, setting, hitting, defense, and blocking. Players will be tested and grouped by skill and experience for some team competitions and games. Players will also spend time in the classroom each day reinforcing the skills they have learned. JUNIOR TRYOUT CAMP -This camp will provide information needed to gain an advantage in trying out for the junior high school team. We will address strategies and techniques used to help players prepare for their tryout. We have moved the camp back to better coincide with the start of school. Registration for the 2019 Tiger Volleyball Camp coming in the spring! Coach Joe Hesse enters his 21st year of teaching PE and head coaching the Varsity Girls Volleyball program at Gilbert High School. He has led the GHS girls to 13 consecutive region titles, 12 Final Four appearances, and 3 state championships. He also has coached club volleyball for the past 21 years. 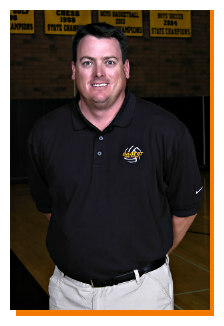 Coach Hesse played volleyball for ASU from 1993-95. He graduated from Arizona State with a Bachelor of Science degree in Exercise Science and has a Master's degree in Education. Staff includes current and former members of the GHS coaching staff as well as current and former collegiate volleyball players and coaches. Current and former collegiate volleyball players will also participate in the daily instruction. Personnel varies from week to week.